The ongoing detention and impending trial of the Biafran leader Nnamdi Kanu has failed to keep the Biafra Radio station off the air. 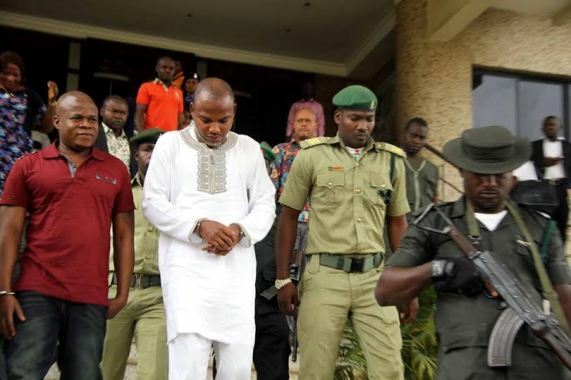 Nnamdi Kanu. According to TheCable who broke the news, the station is now live on Tune In, a radio service which operates on the Internet. The radio station has continued to push its message of the “freedom of Biafraland”, while condemning the happenings in Nigeria. The station now operates from 30 Sandlings Close, Pilkington Road, London, SE11 3SY England, United Kingdom. They also receive calls from Nigerians while they dialogue on how to move Biafra forward.